Our group - after much discussion and dispute both in/out lesson - came to a unanimous agreement of selecting the 'Spy sub-genre' as the context for our title sequence assignment. Spy genre films generally intertwine narrative elements from both the thriller and action genres - where it derived - and typically deal with the subjects of fictional espionage and organisational conspiracy, either in a realistic way (such as adaptations of John Le Carre) or as a basis for fantasy (the 'James Bond' film franchise: the most internationally respected within the genre. As time has progressed the genre has become a significant aspect of British cinema, with leading directors like Alfred Hitchcock and Carol Reed even making notable contributions with many of their films being set in the British Secret Service. Exotic and exploratory depictions of culture/settings. A 'temptress' female/'femme fatale' who serves distraction to the protagonist, typically as a sub-plot. Possibly Propps' character role of a 'damsel in distress'; not particularly seen within this genre, conventionally more within action/action genre films. Manipulative antagonists (typically the heads of illicit organisations) who enact only for personal gain/interests (such as: authority, money or even ownership - connotations attributed to greed). Heavy use of gadgets and weaponry. Theft of documents/files/formula/technology - something good an antagonist can acquire and use as a force for evil. Implausible life or death scenarios the protagonist is pitted against and escapes with ease. Chase sequences (foot and vehicular). Suave, sophisticated dress-senses; generally used to enable protagonists to be distinguishable with ease from other characters. James Bond, (played by Daniel Craig) the eponymous protagonist of the British film franchise - 'James Bond' is an archetype of this. As an audience, we rarely ever see him dressed outside this particular dress-sense, for instance, in more casual wear: his style is not flamboyant, however, it is still iconic of his identity, Instances where we do usually serve particular purpose; the famous 'beach sequence' in his debut installment 'Casino Royale' (2006) for example. In this sequence he is seen, through use of a tracking/mid-shot, (center frame) slowly emerging from the sea half-naked with his mesomorph figure on full display, purposely enabling female voyeurism. Resultant of this sequence, discussion arose as to whether a 'female gaze' theory existed too alternatively to Laura Mulvey's already-famous 'male gaze theory'. 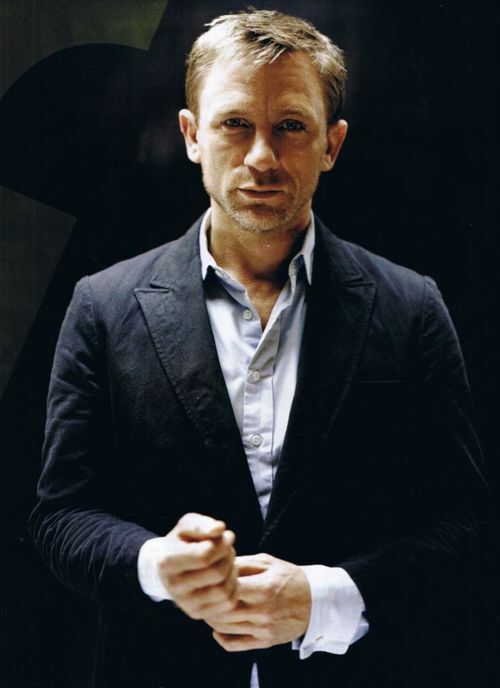 Craig's performance in the role also attracted critical acclaim and attained him the '2007 Best Actor' award from Empire Awards for his remarkable debut as the character in 'Casino Royale' (2006). More impressively, his portrayals reignited lost interest in the franchise and brought new from international audiences as well as domestic; Craig himself has become an iconic figurine for the genre.